The death of a child is every mother’s nightmare. But what if the child has no mother? What if their little bodies are discarded like garbage and no one even seems to care that they’re gone? Shari Markham, psychologist for the Dallas Police Department, knows what it feels like to be unclaimed and unwanted. She can’t turn away, even if it means demons dancing in her dreams at night. But when her relentless pursuit of information to help apprehend this madman gets a little too close, he turns the tables, warning her that his next scheduled victim will be her own three-year-old granddaughter, Angel! mood and didn’t bode well for the crime scene. The sky, a creepy morning shadow with no delineation, met the ground while a fine mist settled on her without a single, discernible drop. Shari slammed the door and walked across the grass toward the officer securing the scene. and allowing her to function within the safe realm of clinical objectivity. At least that’s how it worked in theory. “Morning,” she greeted the uniformed officer as he walked toward her, headed back to his squad car. He didn’t look any more cheerful than she felt. Nobody liked to work crimes against children. This is one of those action packed stories that keeps you on the edge of your seat from the front cover to the back cover. Shari is one tough cookie that I would love to have on the case if I ever needed the police to solve a case involving me, that is unless I were the one who committed the crime. This is one on of those great stories that also leaves you guessing. P J Nunn never even gave a hint as to who was behind the heinous crimes. I also really liked the relationship between Shari and Luke and I am anxious to see what happens with them, as we are left hanging about what is going to happen with them. 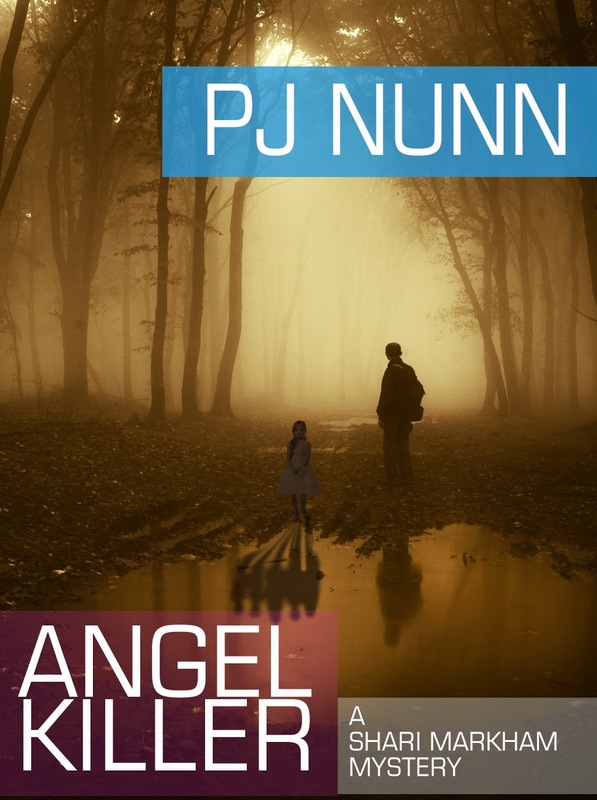 I really enjoyed this book and highly recommend it, I will have to say the crimes that occur in this story are pretty bad, but P J Nunn doesn't go into the "gory" details. She also did a great job with the love aspect between Shari and Luke, and we didn't have to read those "gory" details either. If you are looking for an edge of your seat, sit back and hold on book, then this is the book for you. Great job P J Nunn. As with most things, PJ Nunn's career started out as something else entirely. She started out in retail then moved to property management. That led to teaching high school, then serving as a counselor and liaison to the local police youth services division. She also spent five years as chairperson of the Coryell County Child Welfare Board and spent years counseling abuse victims and serving law enforcement as a trauma counselor and consultant (something she still does today). When she moved to Dallas, a family illness caused her to leave a job teaching psychology at Dallas County Community College District to become a freelance writer, but found that a few favors she was doing for friends—writing press releases and setting up book signings—was better suited to her talents and her drives. 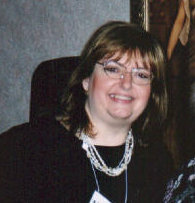 In 1998, she founded BreakThrough Promotions, now a national public relations firm helping authors, mostly of mystery novels, publicize themselves and their work. 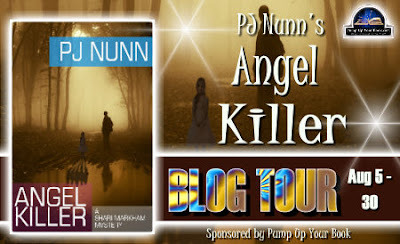 The business is thriving and PJ is excited about the release of her first novel, Angel Killer. PJ lives with her husband some of their five children near Dallas, TX. Learn more about PJ and her work at www.pjnunn.com. I can’t be sure if it’s more like jumping off a high cliff or drowning in the middle of the ocean, but I was definitely in over my head. It all seemed so simple. I was tired of my job at CPS. Of seeing so many cases never closed and so many kids with so many needs never met. When my husband was diagnosed with cancer out of the blue, everything seemed to happen so fast. Four months later, he was gone. My oldest son was married and my youngest just started medical school. Ken had enough life insurance that I was taken care of. Our house was paid for. But life as I knew it was over. For years I’d said if I could, I’d go back to school and get my PhD in psychology and go to work for a law enforcement agency where maybe I could actually make a difference. The more I thought about it, and talked to the boys, the better it sounded and soon I was enrolled in Sam Houston State. I thoroughly enjoyed my time there. The study of abnormal and criminal psychology was fascinating. After graduation, one of my professors was kind enough to put in a good word for me when I applied for a newly created position with the Dallas Police Department in their Crimes against Persons division. Everything seemed like it was going exactly the way I wanted it to. Then came the wakeup call. Sergeant Brian Grant seemed none too pleased to have to clean out the storage room to make an office for me, and the rest of the officers in the division followed his lead. Oh, they were polite, most of the time, but I was definitely the outsider. I pretty much stayed in my office unless I absolutely had to leave, and I did the requisite evaluations and paperwork, but it was hard. There was a sinking feeling in my stomach that followed me home in the evening and I started wondering how it could be so different than I thought it would be. I guess I seemed pretty down. Gradually, Sgt. Grant started asking me to go with him more often when he went into the field. I found that I really liked being able to visit the crime scenes and be present when they interviewed witnesses. Sometimes I even noticed things in the witness’s body language or facial expressions that the officers didn’t notice and was able to help them interpret information that was important to solving the case. Finally, a reason to be there! There’s still so much that I don’t know, but over the last year, I’ve become acquainted with most of the guys and we’re friendly. Each new case is eye-opening and I still get that butterfly feeling in my stomach when the tension rises. I know that each decision can be life-threatening or life-saving. That’s a lot of pressure. But I’m up for it. I’ll be the best criminal psychologist I can be.